From San Salvador we traveled though Guatemala to reach Copan, Honduras, stopping at Joya de Ceren along the way. After an educational tour of Copan it was on to Guatemala City with several interesting "learning and discovery" experiences along the way. 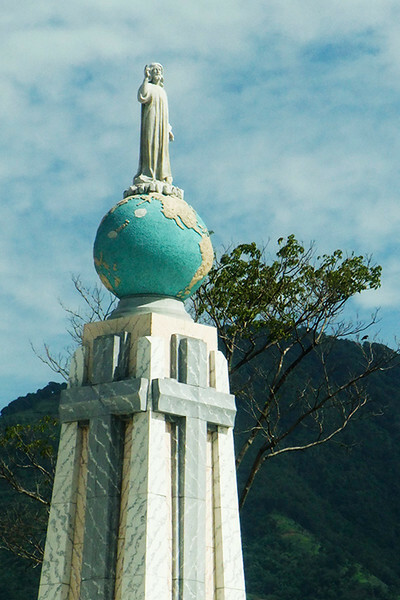 Starting our short tour of San Salvador we see the statue of Christ on the globe sphere of planet earth.